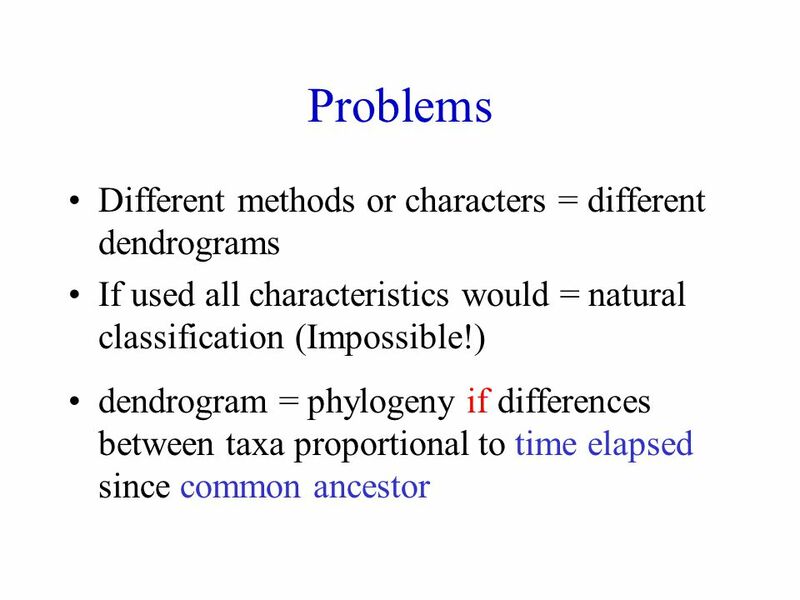 6) use clustering technique to produce a dendrogram e.g. 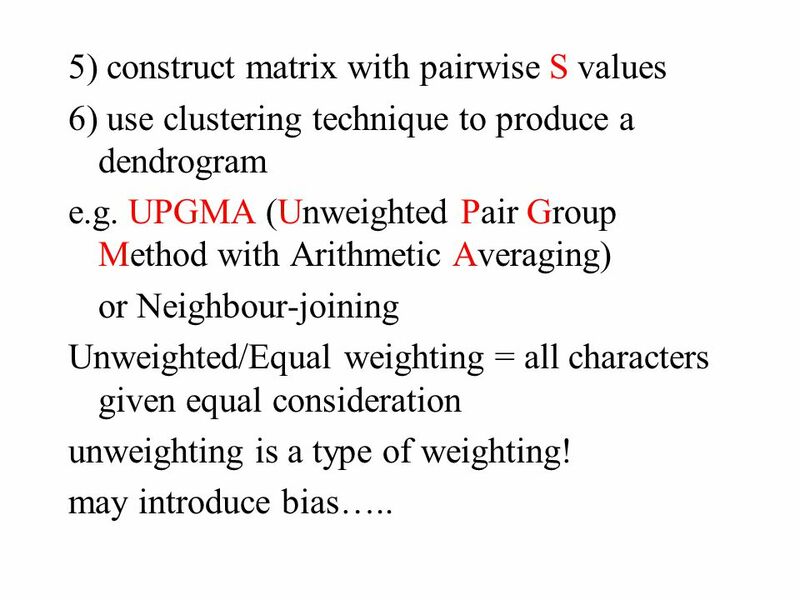 UPGMA (Unweighted Pair Group Method with Arithmetic Averaging) or Neighbour-joining Unweighted/Equal weighting = all characters given equal consideration unweighting is a type of weighting! 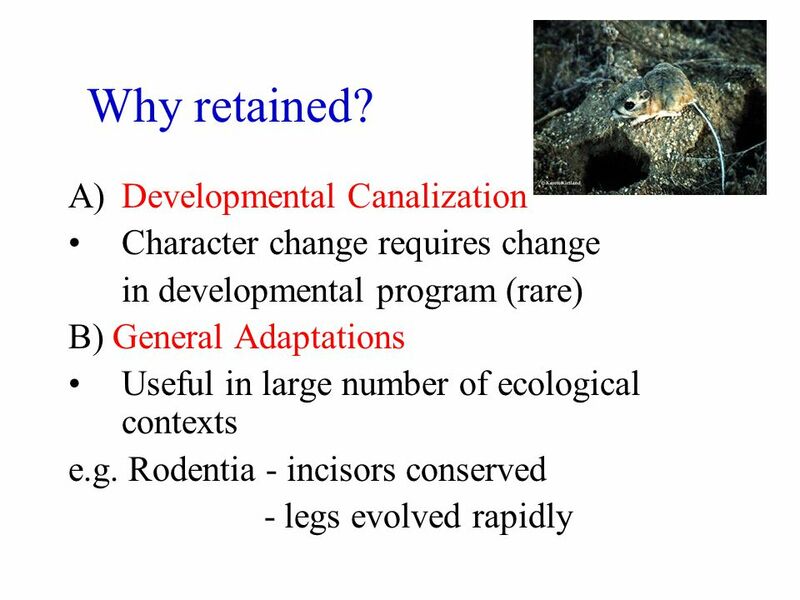 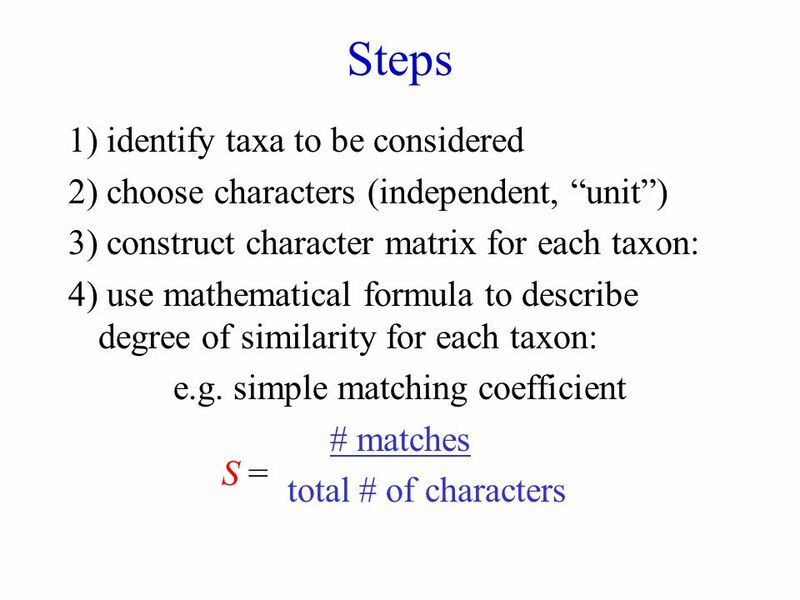 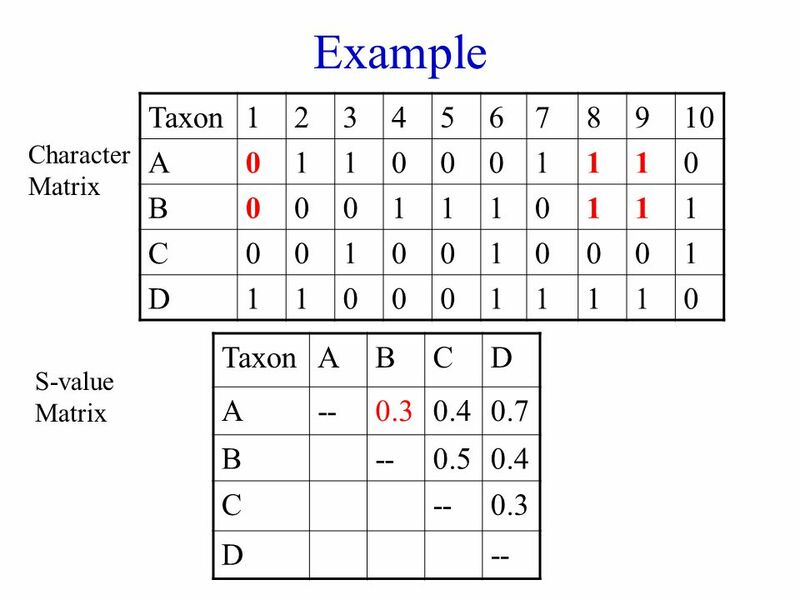 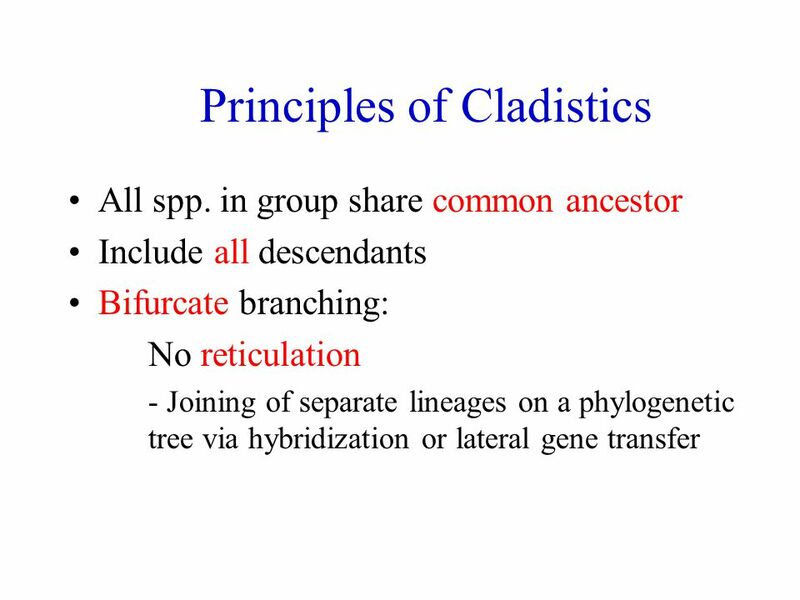 may introduce bias…..
Download ppt "Lecture 10: Evolution & Classification cont’d"
Terminal node (terminal) (=interior branch) Outgroups. 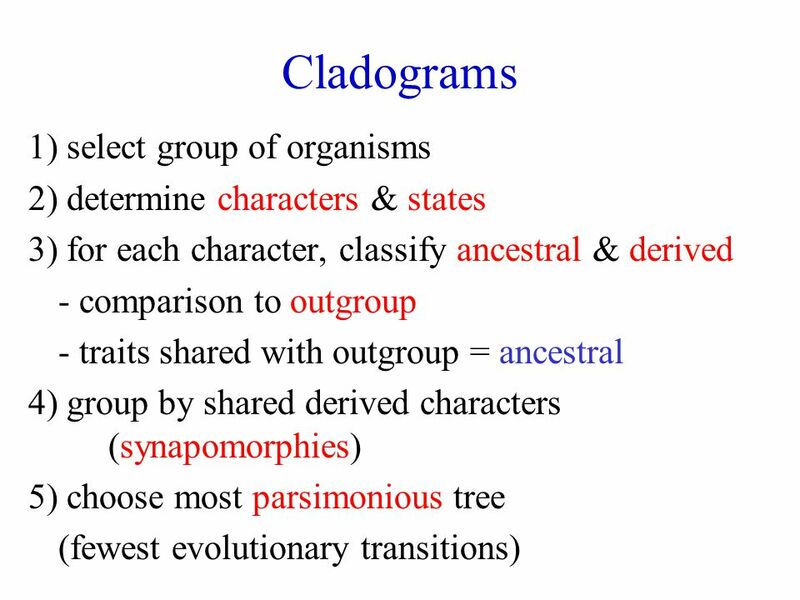 Taxonomy & Phylogeny Classification of Organisms. 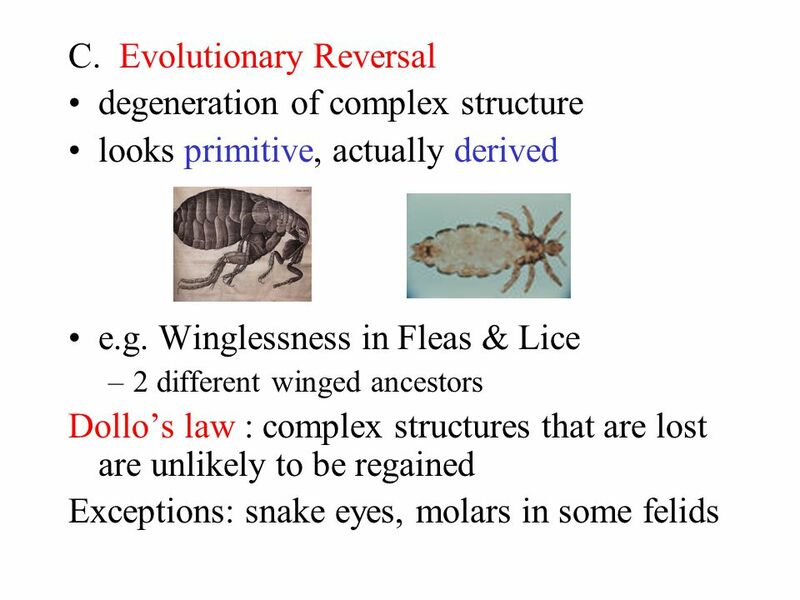 Slide 1 of Modern Evolutionary Classification. 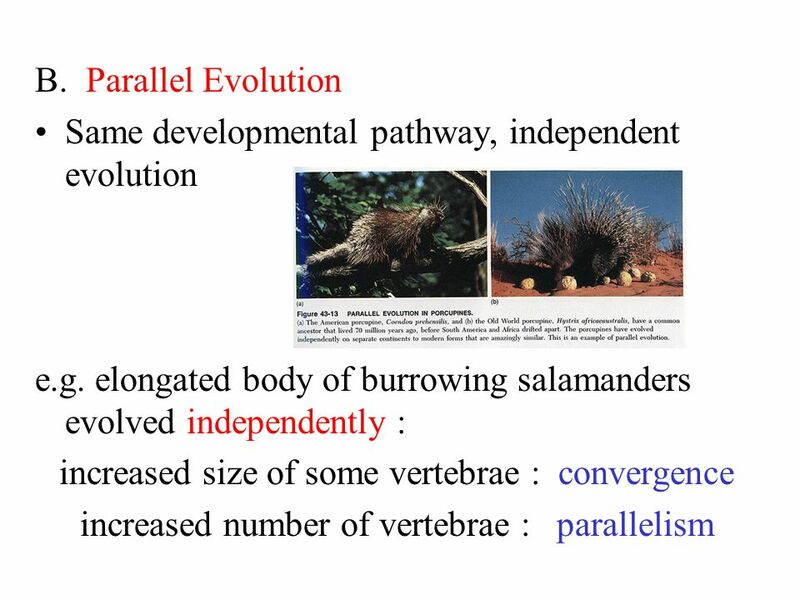 1 Phylogeny: Reconstructing Evolutionary Trees Chapter 14. 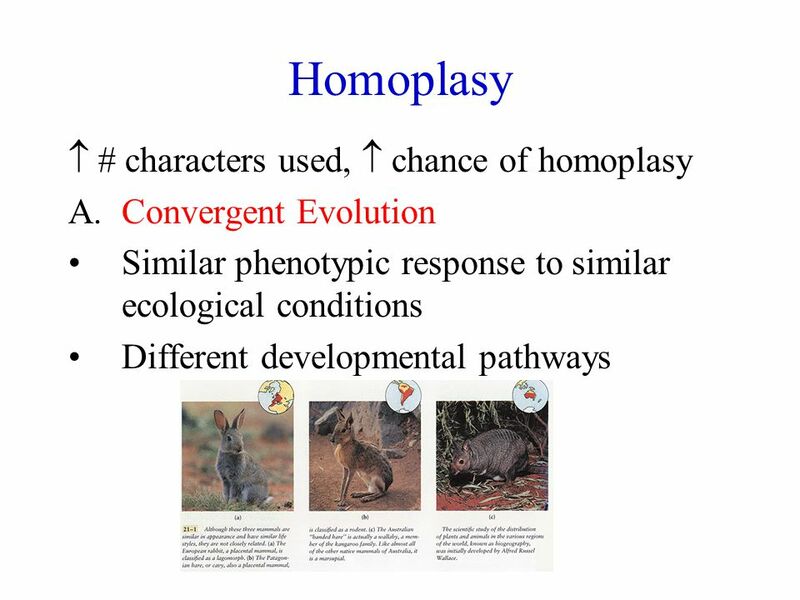 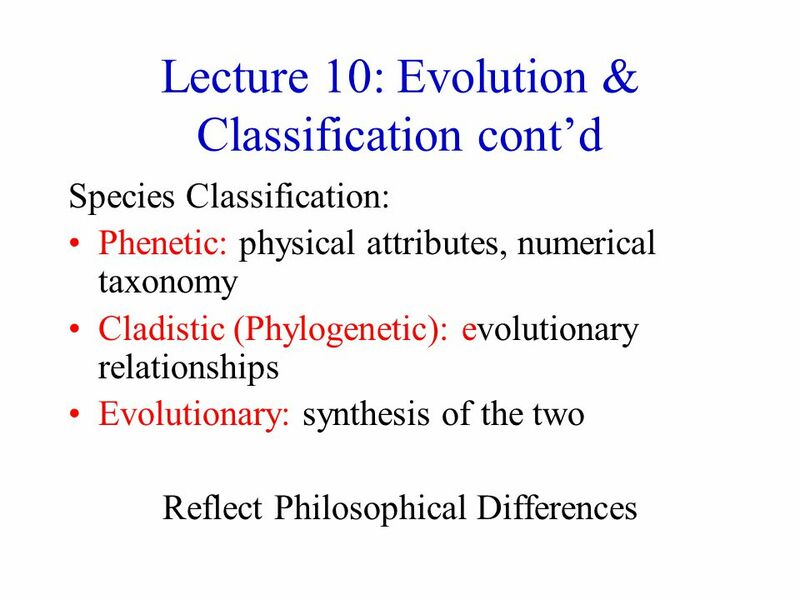 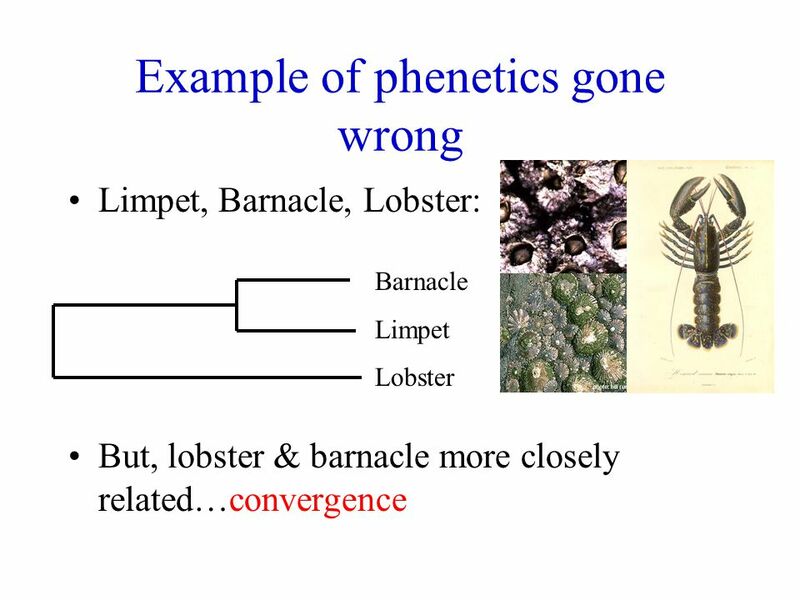 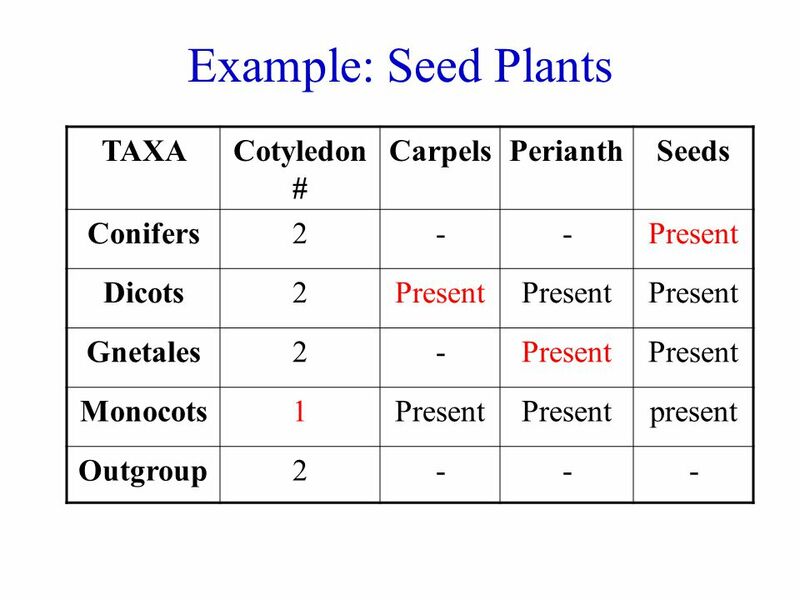 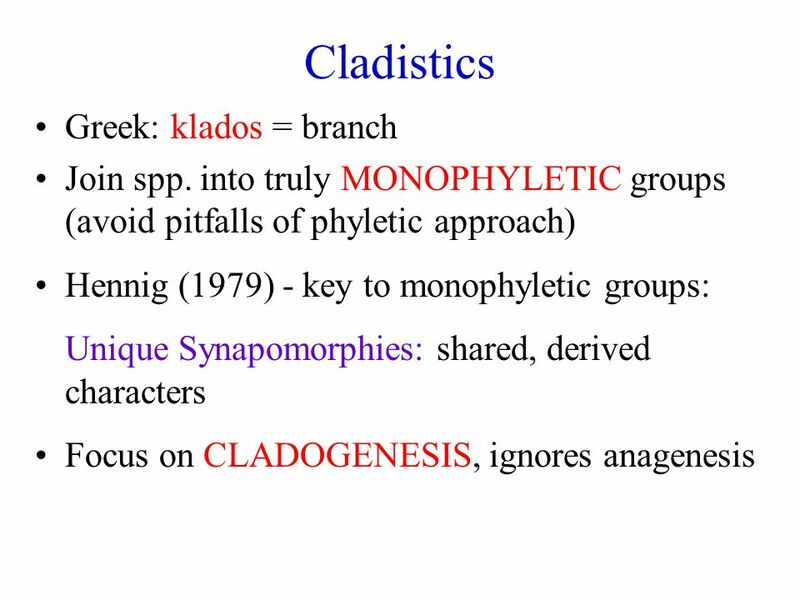 Lecture 9: Evolution & Classification Because of how evolution occurs: Hierarchical, nested classification is natural There is ONE TRUE PHYLOGENY Based. 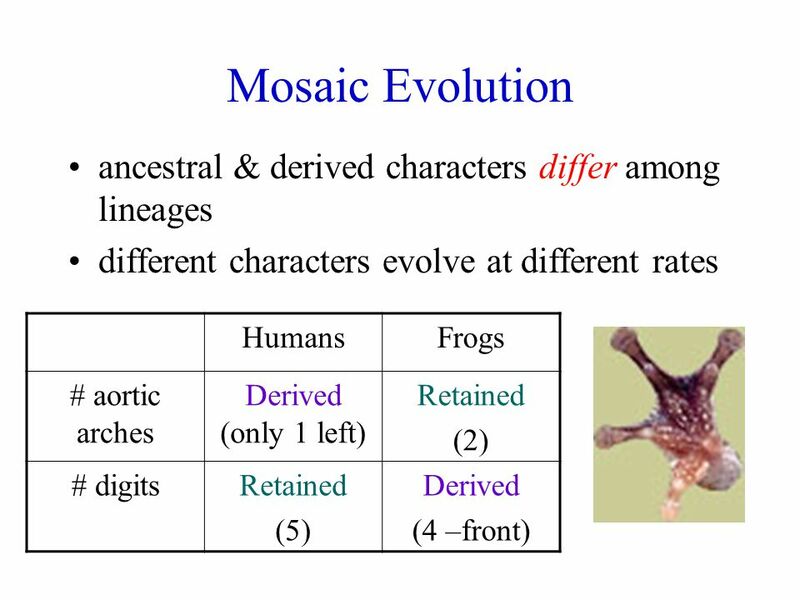  Species evolve with significantly different morphological and behavioural traits due to genetic drift and other selective pressures. 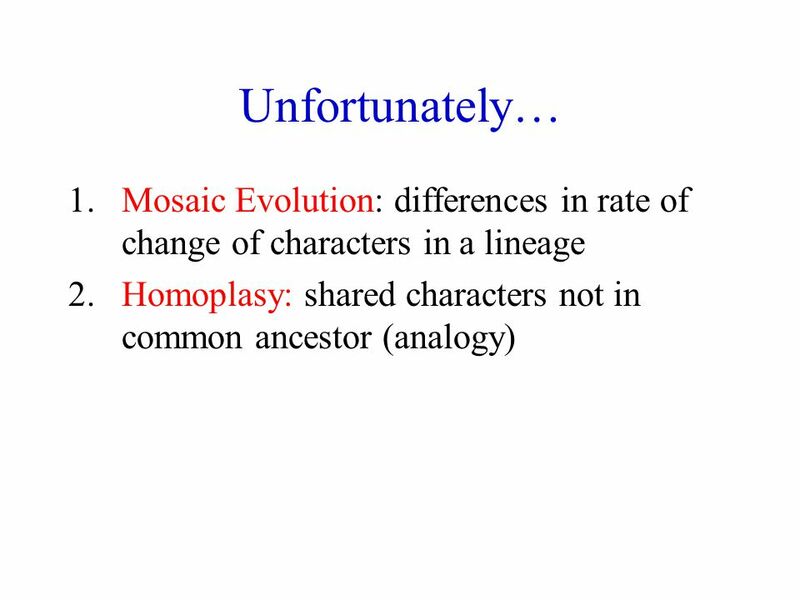  Example – Homologous. 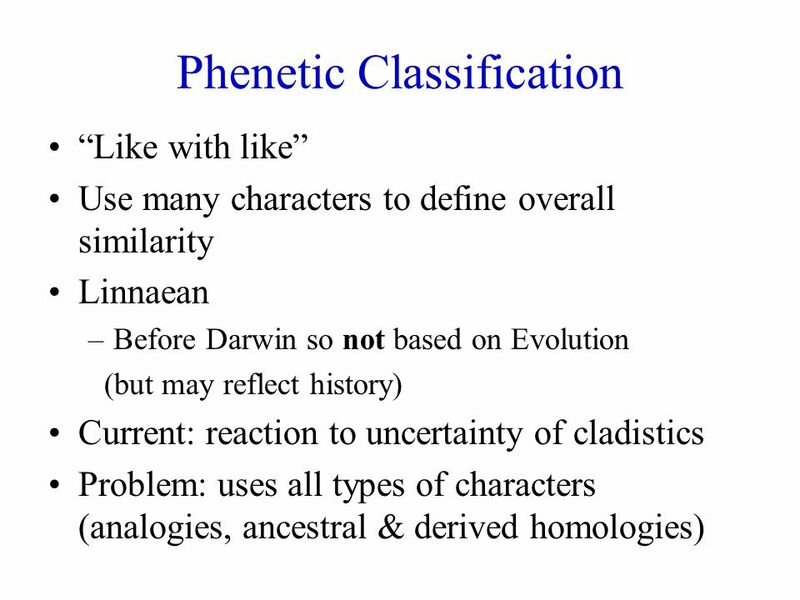 Classification and phylogeny. 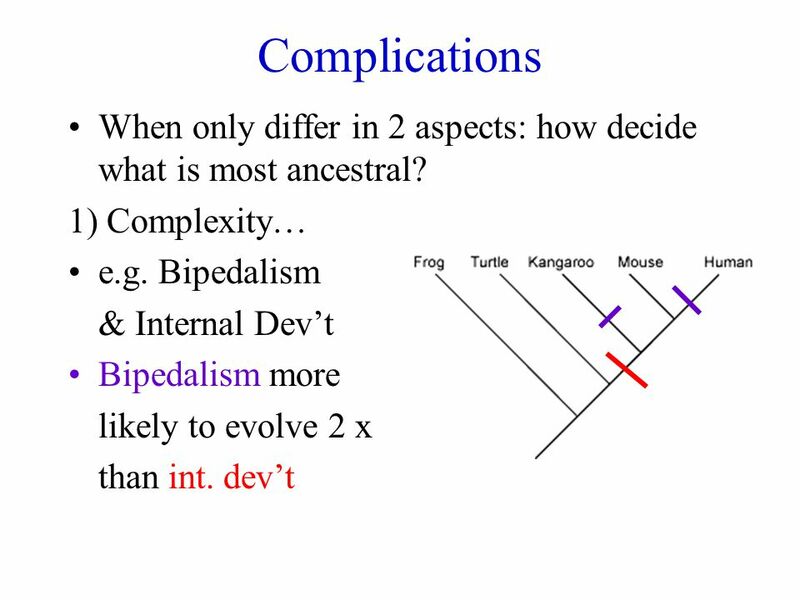 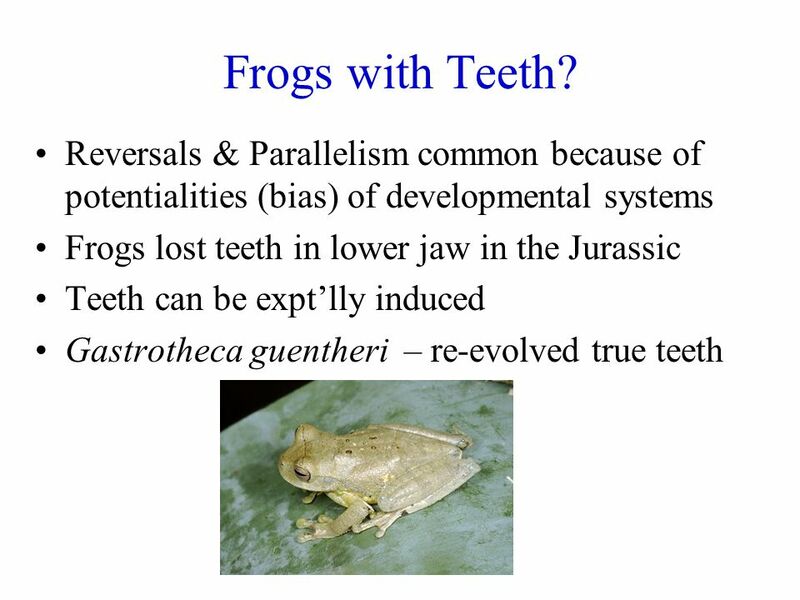 Early classification schemes Fish & whales Flies & birds Frogs & alligators Squirrels & monkeys. 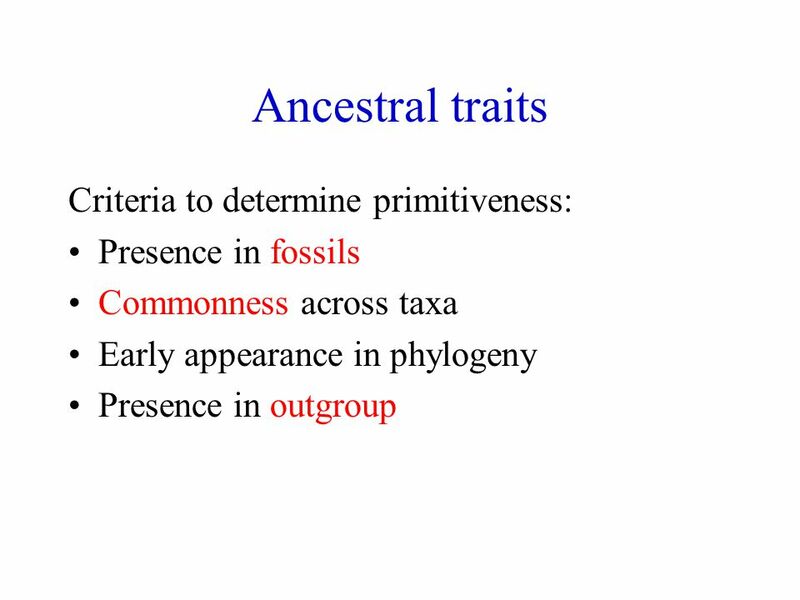 BIO2093 – Phylogenetics Darren Soanes Phylogeny I. 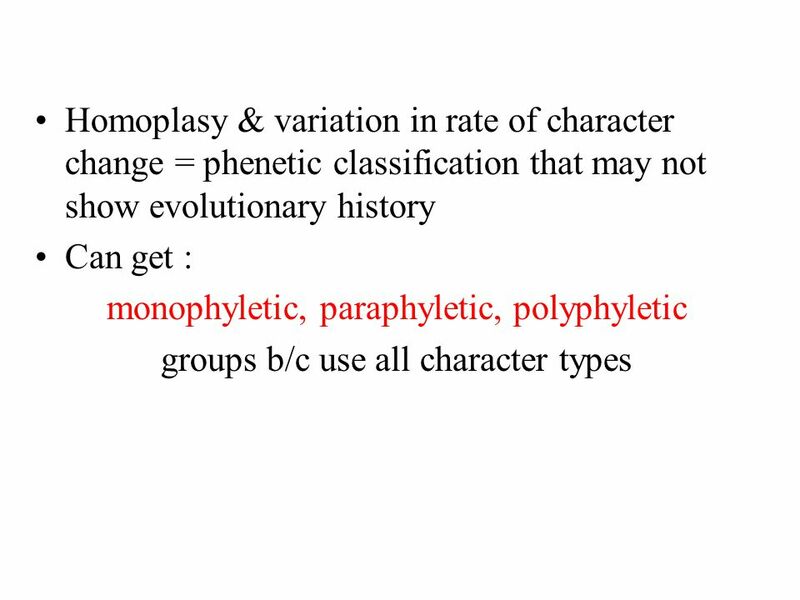 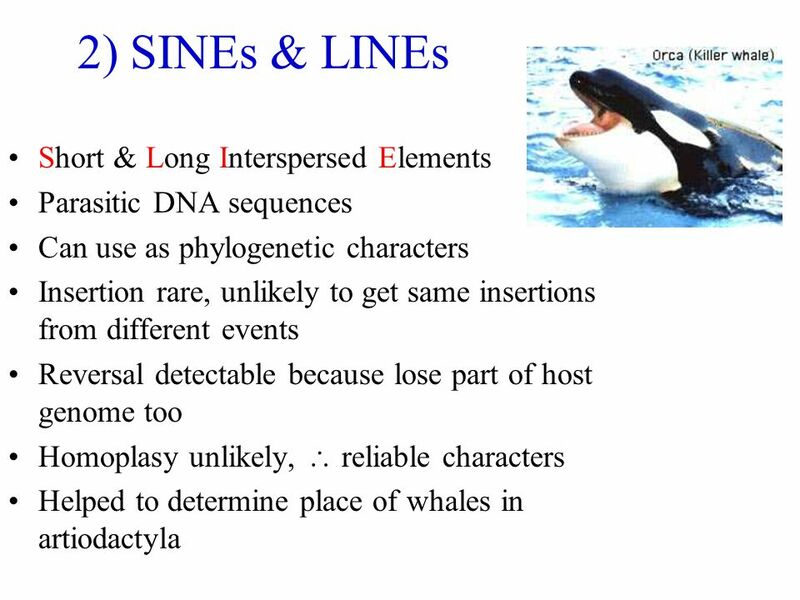 Chapter 26 Phylogeny and Systematics. 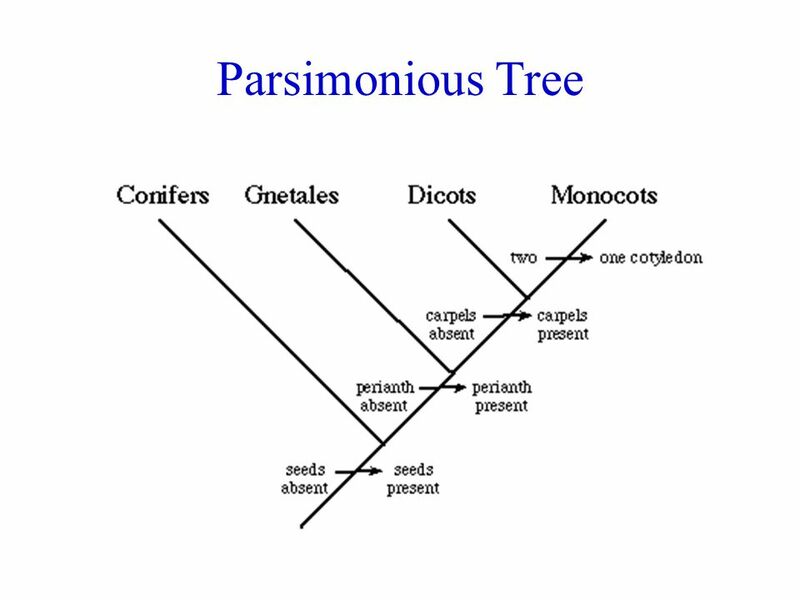 Tree of Life Phylogeny – evolutionary history of a species or group - draw information from fossil record - organisms.